The Administration Department consists of the following: City Manager, City Attorney, City Clerk, Human Resources, Information Technology, Grant Administration and Parking. The City Manager's office is committed to the Placerville Community in providing outstanding management of the City's overall operations including implementing the City Council's policies, developing and maintaining responsive City programs and services within the approved budgetary guidelines, providing leadership and motivation to City staff, planning for a fiscally-sound future, and initiating and nurturing strong relationships with local and regional businesses and governmental agencies. The City Attorney is the City's general legal counsel and is responsible for advising the Mayor and City Council in all legal matters pertaining to the City. The City Attorney's office is committed to providing outstanding legal litigation services. The primary function of the City Clerk is to serve as an informational resource for residents. The City Clerk is dedicated to building and maintaining public trust by preserving all records entrusted to this office; by managing the legislative process including City Council meetings in an open and public forum. The Information Technology Division is responsible for ensuring the integrity of all City computer systems. Our Division continually seeks out the most efficient ways to collect, process, store, and distribute all information via the City's computer network. The Grants Administration Division is responsible for managing the community related grants that provide financing for privately owned residential and business related projects. The City has been very successful in utilizing grant dollars to meet the needs of the community. The Parking Program for downtown is administered by the City Manager’s office. 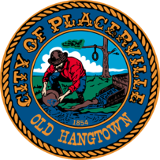 The goal of the parking program is to provide adequate parking in Historic Downtown Placerville for employees and visitors who frequent historic downtown.